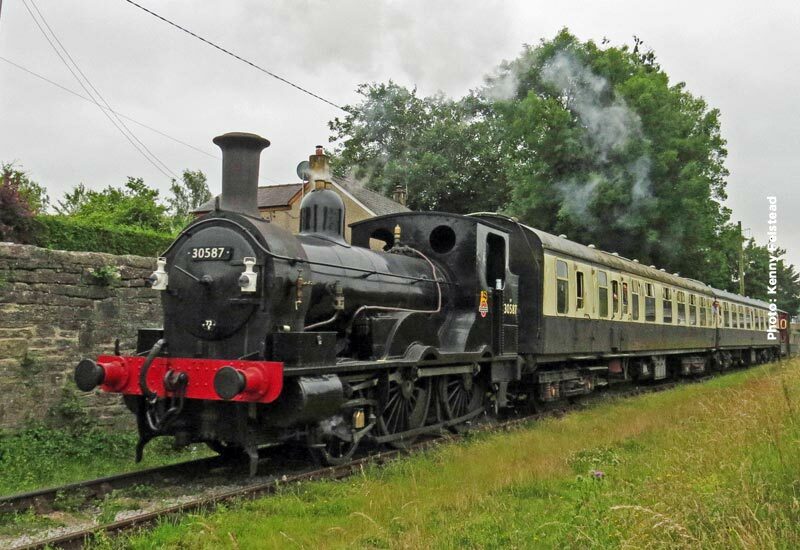 With less than two weeks to go until our brand new “Little Engines Gala” we are delighted to announce our second visiting locomotive, London & South Western Railway ‘Beattie well tank’ 2-4-0WT 30587 courtesy of the Bodmin & Wenford Railway (BWR). 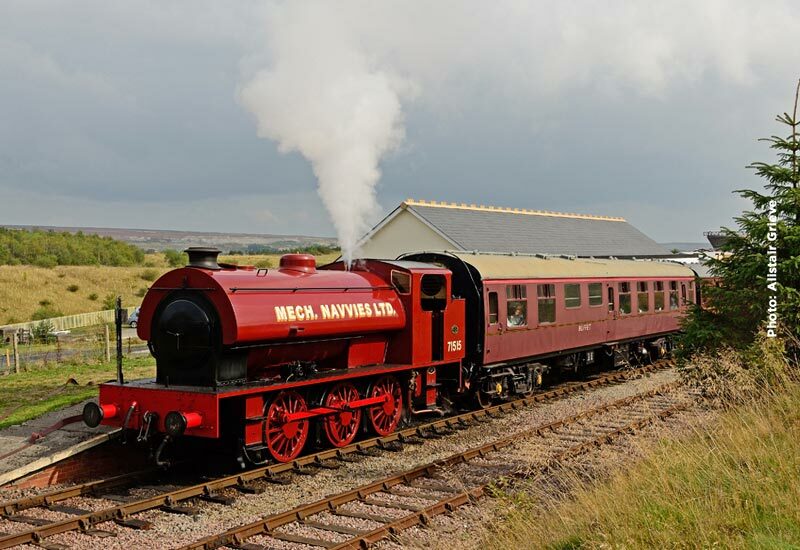 Similar locomotives, but designed and owned by the Midland Railway, operated the branch in the very first years that the Railway was open in the nineteenth century. 30587 was one of a class of 85, designed by Joseph Hamilton Beattie, the CME of the London & South Western Railway. These locomotives were designed in consultation with and built by Beyer Peacock at their works at Gorton, Manchester. Originally numbered 298, 30587 was completed in 1874 under the direction of William George Beattie who had succeeded his father in 1871. Initially the engine worked at Nine Elms in London, the class having proved itself capable of handling the heavy loads and high speeds demanded of them. However, with the arrival of larger locomotives, the class members were transferred to sheds outside the London area. 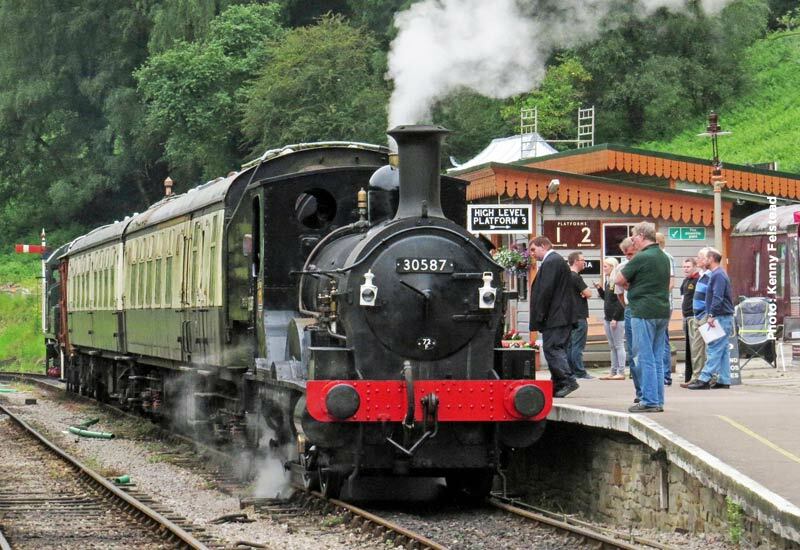 Most of the engines had been scrapped by 1898 with the exception of 3 members of the class which were transferred to the Bodmin and Wadebridge Railway in 1895 to work the sharp curves of that railway’s freight branch to Wenford Bridge carrying china clay traffic to the main line. They were finally withdrawn in 1962 and replaced by GWR 0-6-0PT dock tanks, outlasting the rest of the class by a staggering 64 years. 30587, one of two in preservation, was selected for the national collection. It was stored at various locations before being taken to the Flour Mill Workshops in 2001 in the Forest of Dean for restoration to working order, entering traffic on the BWR in 2002. Withdrawn in 2012 for overhaul it returned to action in 2013.